Since 1967, scientific research activities have been carried out effectively by group of lecturers. With many years of university’s establishment and development, however, scientific research activities have been attached more importantly than ever, considered as one of highly-feasible great contribution, contributed to improving the educational quality, fast developing of university in the days to come. 3. If anyone has made a study of the scientific research in the section of Vietnamese Art-culture institutions, they will be surprised by witnessing such a Scientific-research passionate and serious atmosphere at Scientific activity conferences, Scientific research project defended conference of National University of Art Education. The lecturers of Art-culture are teachers- artists who are familiar with highly-peculiar work/ thinking of art types. They are artists who are willing to take part in performing/ composing activities effectively, but they are not familiar with scientific research thinking. It can be said that in Vietnam situation, our artists’ senses/ spirits/ attitudes towards scientific research are good. Nowhere in the section of Vietnamese Culture- Art have I seen such a highly scientific- activity conference: Every member argues together/ opposes directly to make progress, looks at the same objective: for university’s development. 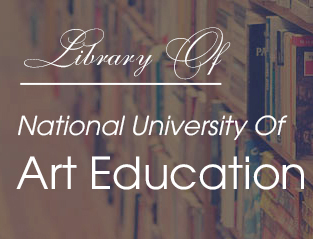 The number of scientific research works of National University of Art Education have increased dramatically over the past time. Not only the official lecturers are taking part in scientific research activities, but also each teacher on probation has at least one scientific research assignment. Moreover, many teachers on probation have abilities to taking part in doing the scientific researches at different levels, different departments in and outside university. So, we agreed to give out the standard of scientific research-indispensable constituent to evaluate the capability/ result of lecturer at National University of Art Education. Innovating regulations in technological activities suitable with characteristics of the university on the basics of coordinating in training, scientific researches and technological transfer. Further investment in building material facilities, modern equipments supporting for training and scientific researches. Themes of scientific researches need to have a place for specific application and closely control. Building capital source supporting for scientific researches and technological transfer. Diversifying types of domestic and international cooperation between universities and localities, develope projects with other countries. Building orientations in scientific researches and technological transfer supporting for training, socio-economic development of the country and construction branch. A system of regulation document supporting for work implementation. Excellent manager, staffs who always implement well assigned tasks. A system of laboratories is sutable with modern equipments satisfying any demand, and supporting very well for scientific researches and technological transfer. Efficiently contributing in training to satisfy actural demand of the society, improve the capacity and income for cadres of the university. NUAE is one of Vietnam's leading research universities. Information about the wide range of research activities and programmes carried out at NUAE can be found on the university’s website.